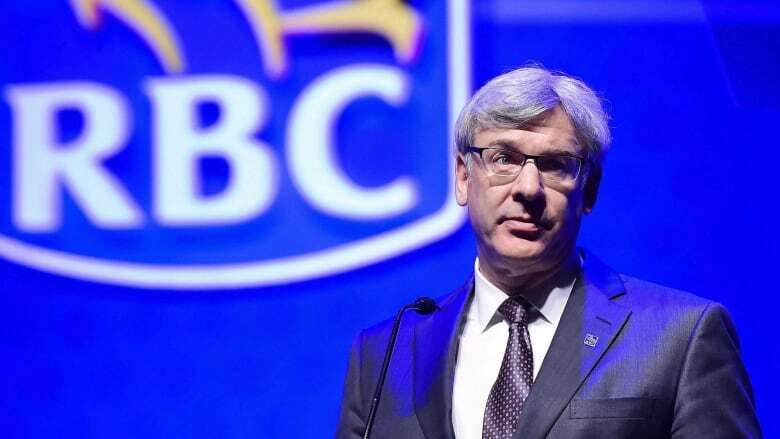 The head of one of Canada's largest banks is urging the federal government to stem the flow of investment capital from this country to the United States — because, he warns, it's already leaving in "real time." Ottawa has come under pressure from corporate Canada to respond to a U.S. tax overhaul that's expected to lure business investments south of the border. McKay told The Canadian Press that a "significant" investment exodus to the U.S. is already underway, especially in the energy and clean-technology sectors. "We would certainly encourage the federal government to look at these issues because, in real time, we're seeing capital flow out of the country," McKay said. "We see our government going around the world saying what a great place Canada is to invest — yes, it is a great country, it's an inclusive country, it's a diverse country, it's got great people assets. "But if we don't keep the capital here, we can't keep the people here — and these changes are important to bring human capital and financial capital together in one place." Since the election of U.S. President Donald Trump, Canada's investment landscape has been dealing with deep uncertainty related the ongoing renegotiation of the North American Free Trade Agreement. But many point to Trump's recent U.S. tax measures as potentially more dangerous, fearing that dramatic corporate tax cuts in the U.S. will eliminate Canada's advantage. Canada's competitiveness challenges go beyond the high-level, tax-rate changes in the U.S. bill, McKay said. "The acceleration of that in the U.S. completely changes the investment returns that you see on major investments," said McKay. "I think that alone may shrink competitiveness." Although the business community pressed federal Finance Minister Bill Morneau to take specific steps in his February budget to address the competitiveness concerns, their efforts went unrewarded. Indeed, Morneau has had to defend the budget against complaints it didn't do enough to protect Canada from the U.S. tax changes. A spokesman for Morneau did the same, arguing that Canada's corporate tax rates remain competitive and that the country has led the G7 in growth. "There will be no knee-jerk reactions from this minister, and we are doing our homework," Daniel Lauzon wrote in an email. "This includes listening to, and hearing from, the business community on how the competitive environment is evolving." John Manley, president of the Business Council of Canada, said the issue of competitiveness was "absent" from the federal budget. "We're always in this difficult competition to attract investment and to retain investment — and it's not to be taken lightly because investment can move quickly," Manley said. BMO chief economist Douglas Porter said it's too early to draw conclusions, but the fact the Canadian equity market and currency have both been on the weak side this year supports the possibility that capital is leaving the country. None of the provincial budgets released so far took steps to improve Canada's competitiveness, such as tax relief, he added.